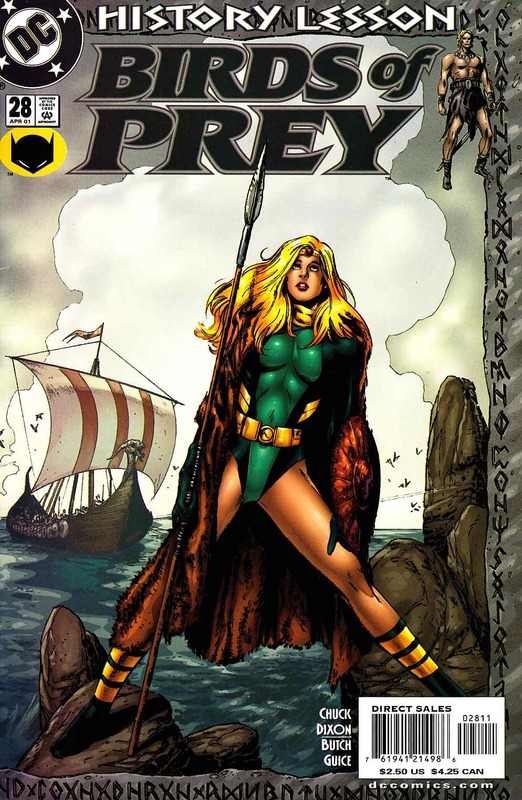 WRITTEN BY CHUCK DIXON;ART AND COVER BY BUTCH GUICE. Part 1 of the 3-Part "History Lesson!" So whatever happened to the mercenary group the Ravens, who were lost way back in the past in issue #5? The mystery begins when a trio of Vikings burst forth from a S.T.A.R. Laboratory, and deepens when an ancient relic is uncovered with an inexplicable connection to Black Canary. Oracle sends Canary on the trail, but the doorway to the past goes in both directions. As Canary begins her perilous journey, will she find herself ending up in the history books?